As a born again believer in Christ, we have chosen Psalm 46:1 as the theme of our barn quilt. God is the center of our life and the direction of our future. 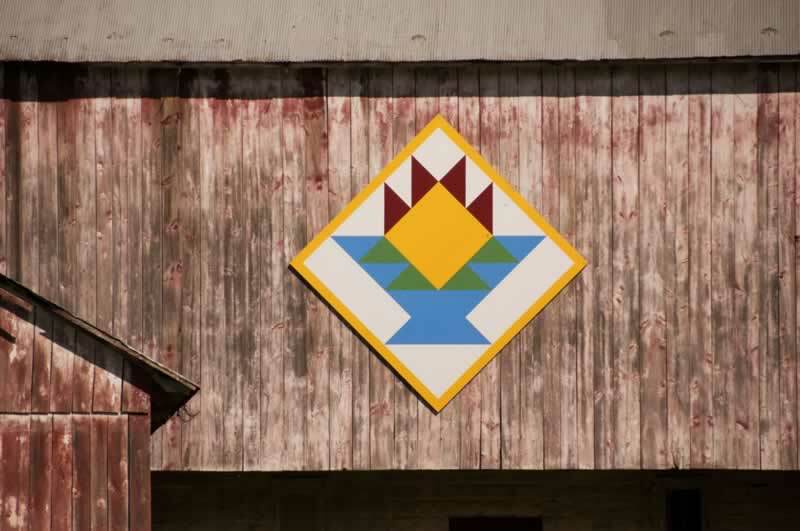 Placed diagonally on the front of the barn the triangles, green, blue and burgundy, represent the fifteen members of our family. The large gold diamond shape in the center and the border represent God. The barn is located on the “Trudy Lee Farm” just north of McConnellsburg on the left side of Great Cove Road heading north.